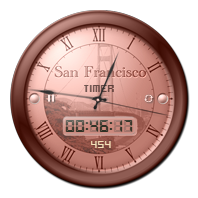 San Francisco Clock is a free desktop application that shows you the current time in San Francisco, CA. 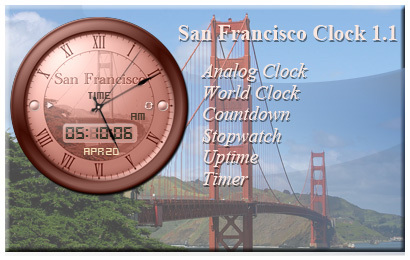 - World Clock - see the time for different cities and countries in the world. - Can be on top of all windows - see the San Francisco at a glance. - Hides to system tray. v1.1 - 04/20/2013 - Initial Release.